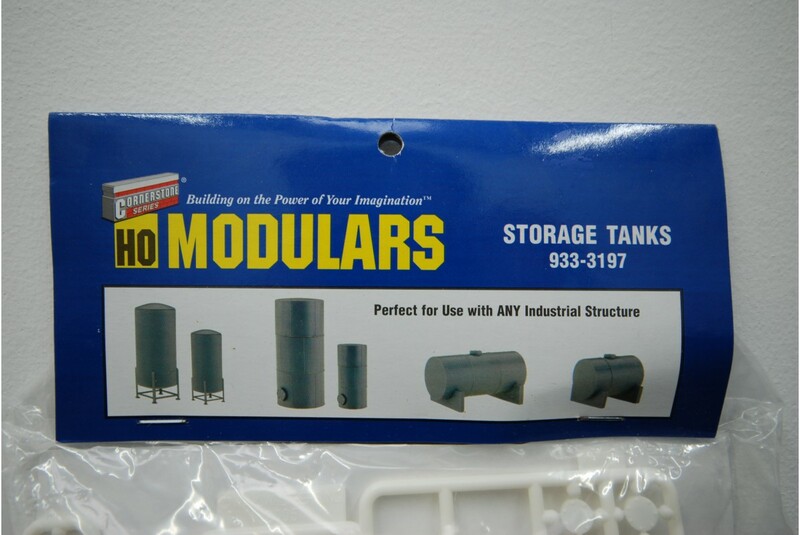 A detailed model kit from Walthers Cornerstone of Industrial Storage Tanks, model number 933-3197 gives you the modeller 6 complete tanks to detail and model, 3 of which are horizontal and 3 of which are vertical model tanks. 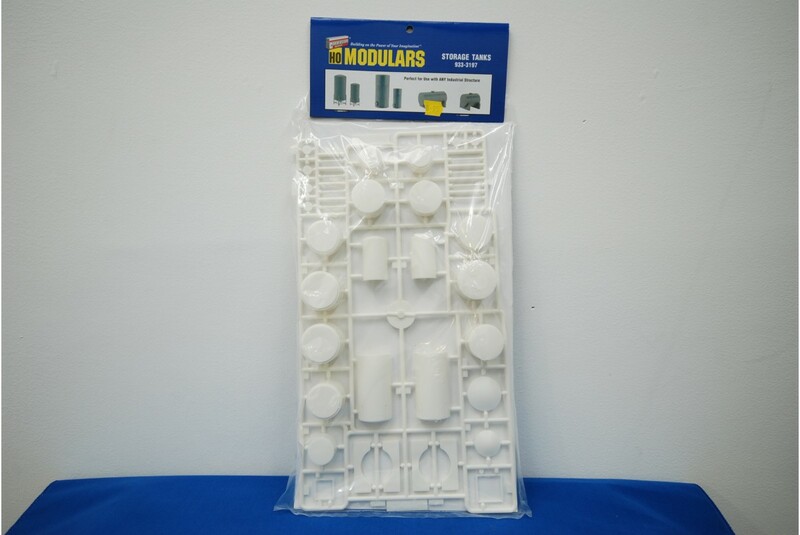 The Walthers Model Kit includes concrete supports, detailed man-ways and its easy to assemble. Add further detail to your model railway layout with these great products from Walthers Cornerstone in HO scale.